Last time I share tips on de-cluttering your home and make some cash in the process by having a garage sale. Now Some of you in the cold part of the world, having a garage sale may not be the best thing. 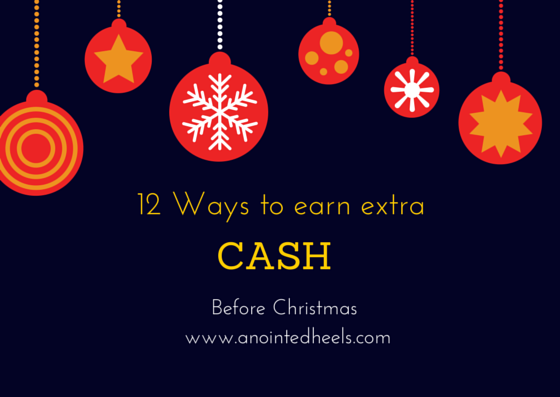 So here's another way you can Kill 2 birds with one stone, cut the clutter and make some cash to cushion your Christmas spending. Step one, look for DVDs, Books, Video Game and other Electronics you may have around the house that you're no longer using. Step two, do a search on the Amazon Trade-In Store to see how much Amazon will pay you for a Trade In. If the price seems fair, click through to verify the condition, title, and price. Step three, print and ship. You can choose to go with free UPS shipping, you will need to drop your package off at the nearest UPS location, or you can choose to ship using the U.S. Postal Service. Once it is receive by amazon, they will verify that the item is in the condition you promised. Once it gets approved, you will receive an Amazon credit that you can use to shop on Amazon, if not they will send the item back free shipping to you. Have you use Amazon trade in before?